On 18 May 2012 a mini-summit on Philippine crocodile conservation in Isabela Province was held at the Provincial Capitol in Ilagan. 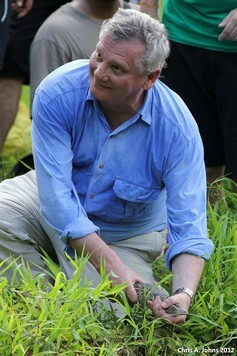 Among the participants were Michel Lacoste, President of clothing company Lacoste famous for their crocodile logo, and Bernard Limal, President of the French Endowment Fund for the Biodiversity (FDB). 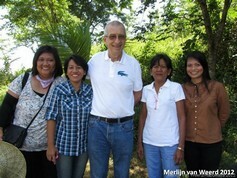 Mr Lacoste pledged to support the efforts to conserve the last remaining wild Philippine crocodiles in Isabela Province. 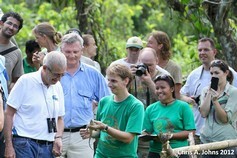 On 19 May, Mr Lacoste and several other guests traveled to Dunoy Lake in San Mariano to release 12 head-started Philippine crocodiles into the wild. On 18 May 2012 a mini-summit on Philippine crocodile conservation in Isabela Province was held at the Provincial Capitol in Ilagan, Isabela. 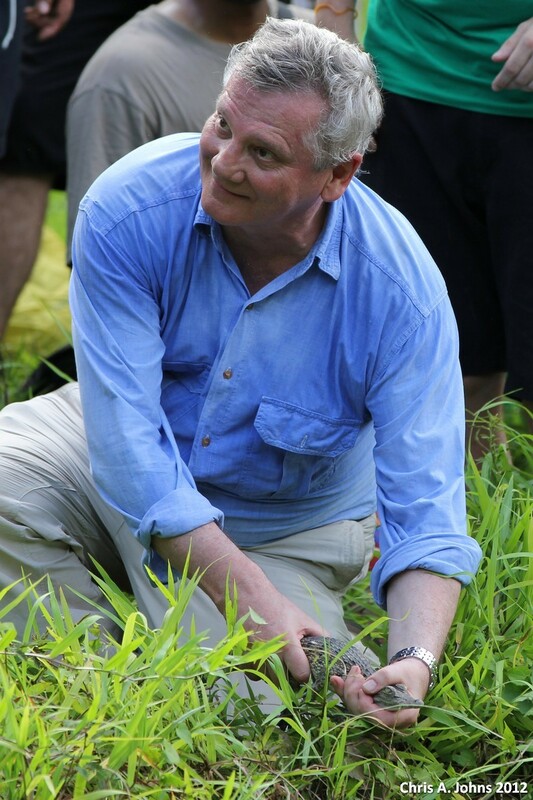 Among the participants were Michel Lacoste, President of clothing company Lacoste famous for their crocodile logo, and Bernard Limal, President of the French Endowment Fund for the Biodiversity (FDB). 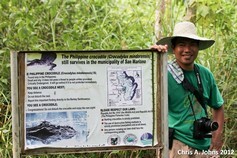 Mr Lacoste pledged to support the efforts to conserve the last remaining wild Philippine crocodiles in Isabela Province. 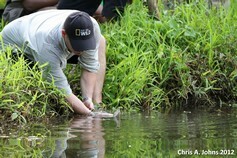 The local Mabuwaya Foundation, in collaboration with the Department of Environment and Natural Resources (DENR), Isabela State University and provincial and municipal governments is working with communities to find solutions for threats to crocodiles such as crocodile killings, destructive fishing methods and unsustainable agriculture. Under the Lacoste/FDB support program, communities will receive 1,000 Pesos per year for each crocodile that is protected within the boundaries of their barangay and 500 Pesos for new-born crocodiles. These funds can be used for sustainable development of the barangay. Also present at the mini-summit were Colette Adams of Gladys Porter Zoo in the USA, Chris Banks of Zoos Victoria in Australia and Rene Hedegaard of the Danish Crocodile Zoo in Denmark. 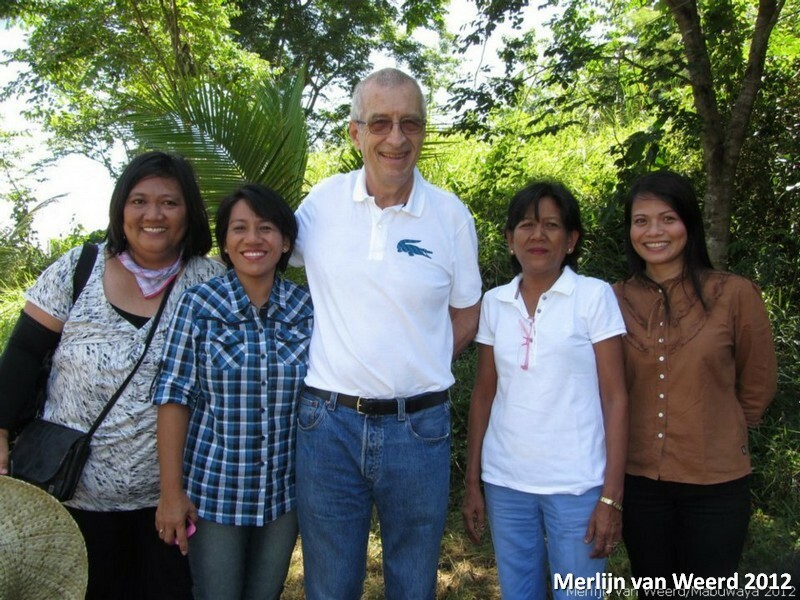 They are the coordinators of Philippine crocodile support programs in the USA, Australia and Europe respectively and provide long term support for Philippine crocodile conservation in Isabela as well. Topics discussed at the mini-summit were how to deal with human-crocodile conflicts and how to compensate individual farmers for livestock lost to crocodiles. One of the solutions put forward was to reforest the deforested buffer zones of creeks and rivers with crocodiles to provide a natural habitat for crocodiles and crocodile prey and limit interactions between crocodiles and livestock. At the same time, fruit trees would be provided to farmers to reforest denuded steep slopes to combat erosion, increase farmer’s incomes and to reach the reforestation targets under the National Greening Program. Dr Myrna Cureg of Isabela State University presented the communication program she is coordinating in which students perform crocodile shows and produce posters and other information materials about crocodile and environmental conservation. The provincial and regional DENR pledged support to crocodile conservation activities in Isabela and the Department of Tourism will consider promoting crocodile-centered tourism activities in the province. The Philippine crocodile, (Crocodylus mindorensis), is the World’s rarest crocodile species. It is only found in the Philippines with the largest known populations in Isabela Province, notably in the municipality of San Mariano. 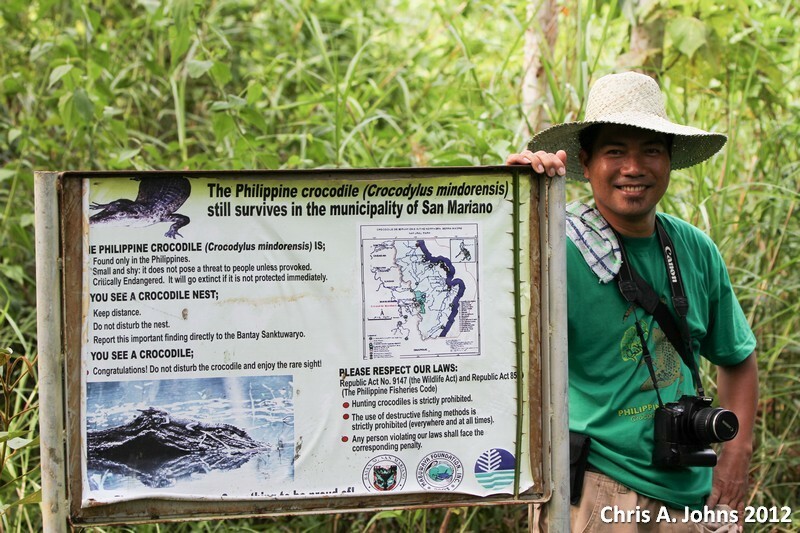 The local government of San Mariano, with support by the Mabuwaya foundation, is protecting its crocodiles by establishing municipal crocodile sanctuaries and by training and hiring local sanctuary wardens from among resident farmers and fishermen, an innovative conservation approach that is receiving worldwide acclaim. From 22-25 May, the international Crocodile Specialist Group meeting was held in Manila. The mini-summit in Ilagan was in preparation for this meeting where crocodile conservation in Isabela was high on the agenda. During the Manila meeting a coffee table book was presented about the Philippine crocodile and about the conservation efforts in Isabela. On 19 May, Mr Lacoste and the other participants in the mini-summit traveled to Dunoy Lake in the Northern Sierra Madre Natural Park to release 12 juvenile Philippine crocodiles back into the wild. These crocodiles were collected from the wild as hatchings and raised in captivity in the San Mariano Municipal Philippine crocodile rearing station for 2 years to increase their size and survival chances. In Dunoy, representatives of Barangay Dibuluan were rewarded by Mr Lacoste with 42,500 Pesos for protecting 33 Philippine crocodiles within their jurisdiction and 19 new hatchling crocodiles. Brgy Disulap received 9,000 Pesos for protecting 9 crocodiles within its boundaries.